Babes in Toyland is the twisted tale of Mother Goose nursery rhyme characters Mary Mary Quite Contrary and Tom the Piper's son. The two wish to marry, but the evil Barnaby wishes to ruin their plans by hiring two goons, Gonzorgo and Rodrigo, to dump Tom into the sea, thus taking away Mary's support system. They wish for their plan to force Mary into marrying Barnaby. Barnaby is after Mary's inheritance and so he and his goons stage Tom's death. The story escalates into an all out toy war. 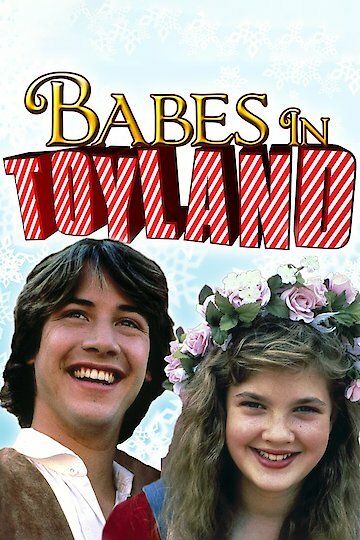 Babes in Toyland is currently available to watch and stream, download, buy on demand at Amazon Prime, iTunes online.